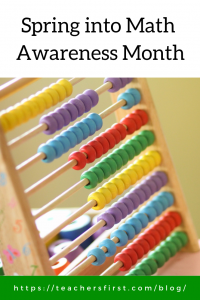 April is Math Awareness Month, a celebration of the study of math and its relevance to modern life. It provides a perfect opportunity to reflect on your math teaching practices and resources and give them a good spring cleaning. Think about lessons and units you use that are stale, assessments that need refreshing, and your overall approach to teaching math. What can you do to improve your math teaching? Does it need a makeover or just a little cleaning up? During my years as an elementary teacher, I participated in many math professional development opportunities. Few had as much impact on my teaching as those offered by Math Solutions (TeachersFirst review). Founded by the well-known and loved math guru, Marilyn Burns, this site stresses four goals essential to providing quality math instruction. Primary to their belief is the recognition that high-quality teaching is the most critical factor in student math instruction. Even if you don’t have the opportunity to participate in a Math Solutions training session, there are many free resources available on this website. Classroom lessons – choose from many lessons for grades K-8 in all concepts. Many of these lessons include sample conversations with students that demonstrate the technique of math talks and also share methods for guiding students toward discovering learning on their own. Math Solutions also provides a Math Reasoning Inventory (MRI) to help you find out what your students understand about math procedures. One key component of the inventory is listening to students explain their strategies and reasoning when solving problems. Upon completion, the MRI provides you with four different reports with analysis of results. Sign up to receive notifications of the latest blog postings from Math Solutions and Marilyn Burns. Blogs include lesson ideas, videos, and recent articles. Many of the posts share classroom conversations and model excellent techniques for assessing student knowledge and misconceptions and guiding student learning. NRICH Maths (TeachersFirst review) is another resource that is home to a variety of high-quality math lessons. It contains lessons for all grade levels and embeds professional development into many of the activities through the “Why Do This Problem?” section in the lesson. On the primary and secondary student homepage, take a look at the Thinking Mathematically portion of the page. Each includes collections on how to be a mathematician and how to be a good thinker. These collections include activities and challenges that encourage students to think about and share math discussions in a variety of methods. NRICH Maths also has a wide variety of learning games that incorporate easily into math centers or work well as homework to supplement classroom instruction. TeachersFirst Special Topics for math is also an excellent resource for finding the best of the best math resources. Our editors have narrowed down the thousands of free math resources on TeachersFirst into special topics pages sorted by grade level bands and NCTM standards. Speaking of NCTM, don’t forget to take advantage of all the free resources found on their web site. 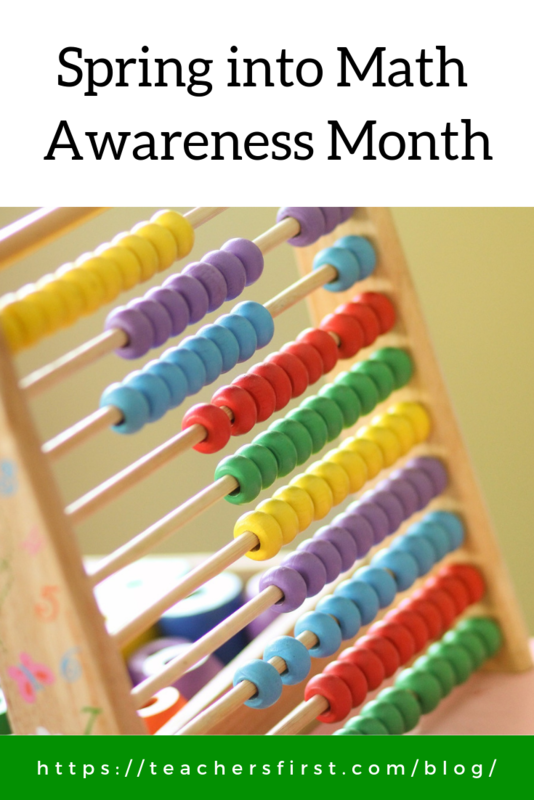 For more in-depth information on the resources offered there, take a look at my September 2016 blog sharing many ideas and information about this resource for all math teachers. Remember to incorporate technology into your math lessons. Not only does technology motivate students, but it also provides opportunities to visualize and share math content that isn’t available through textbooks and worksheets. Use Flipgrid (TeachersFirst review) to create video math discussions. Pose a problem to your students and have them share their thinking process through a short video response. Use Symbaloo Learning Paths (TeachersFirst review) to create and differentiate math lessons for your students. Learn more about the features of learning paths at my blog from September 2016. When working with older students, try this Room Escape Maker (TeachersFirst review). Use the escape maker to add a series of puzzles for students to solve and escape from the room. GooseChase (TeachersFirst review) is perfect for all students, even very young children. GooseChase helps you create a digital scavenger hunt for teams. Use this to create scavenger hunts for finding shapes, locate items by size, or locate and solve math problems in your school building or outdoors. Create and share digital books for math using Book Creator (TeachersFirst review). Share videos with students discussing math problems, include images with student work and embed YouTube videos teaching math concepts. Take the time to dust off your math lessons and techniques and try something new this spring. It is time for those math lessons to bloom into life! If you have ideas for freshening up your math lessons… We would love to hear your suggestions below.